Aw yeah! These all look great. 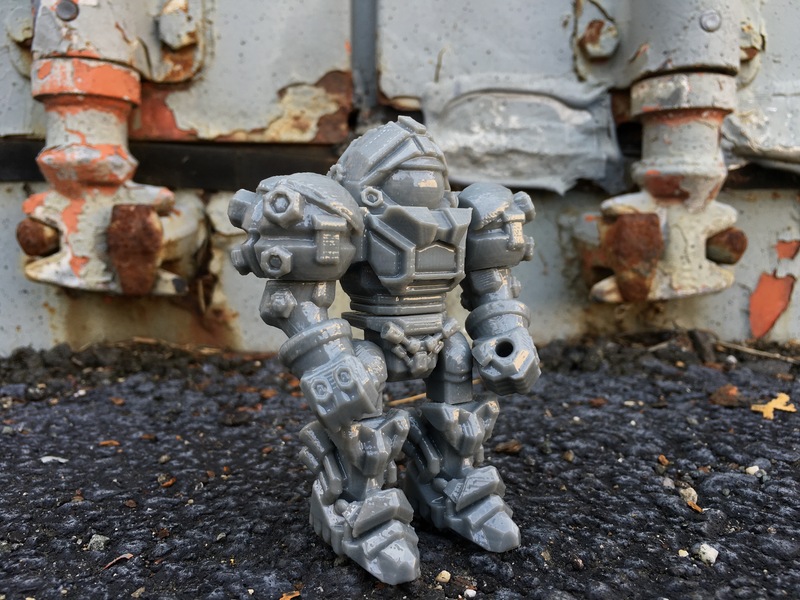 I want some of those tiny Acris infantry for my pockets! 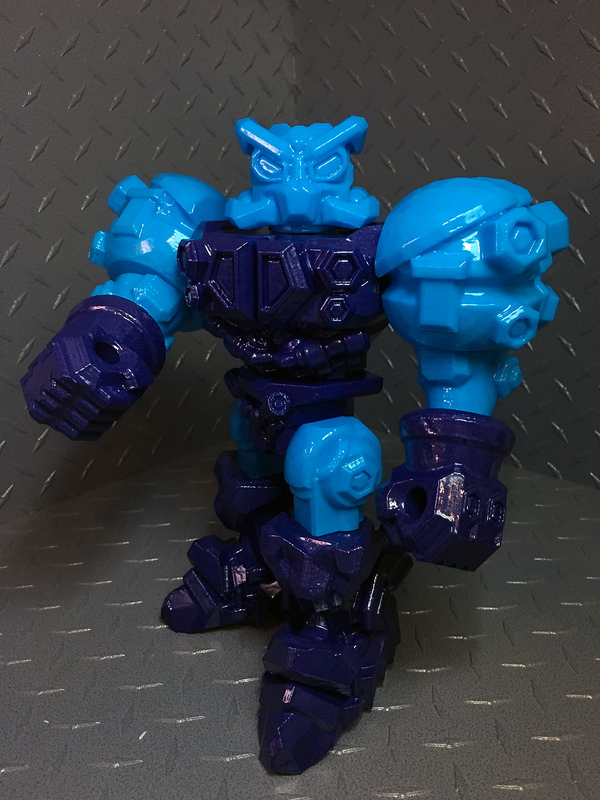 Holy freggin' crap, this guy's a beast! What are your plans for the Acris stuff, PJ? Nemo wrote: Aw yeah! These all look great. 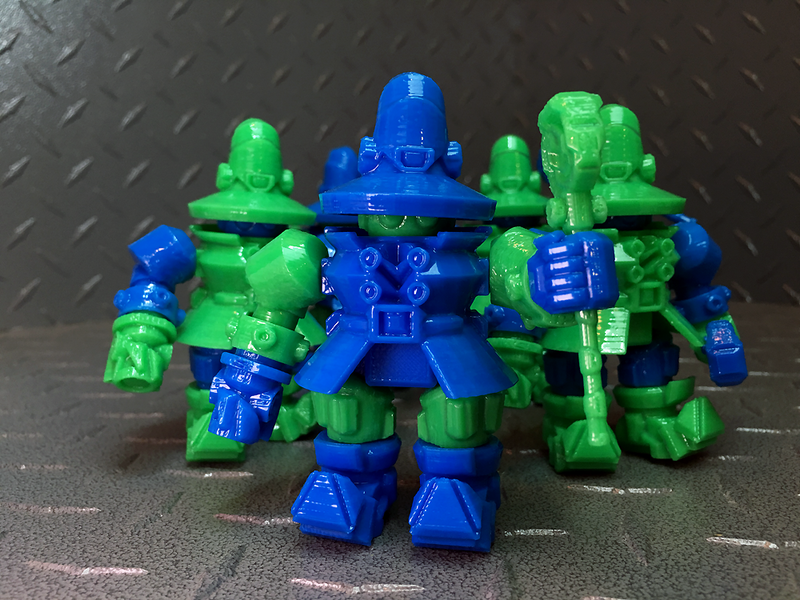 I want some of those tiny Acris infantry for my pockets! Hah! Thanks Dom! Hope all is well buddy. 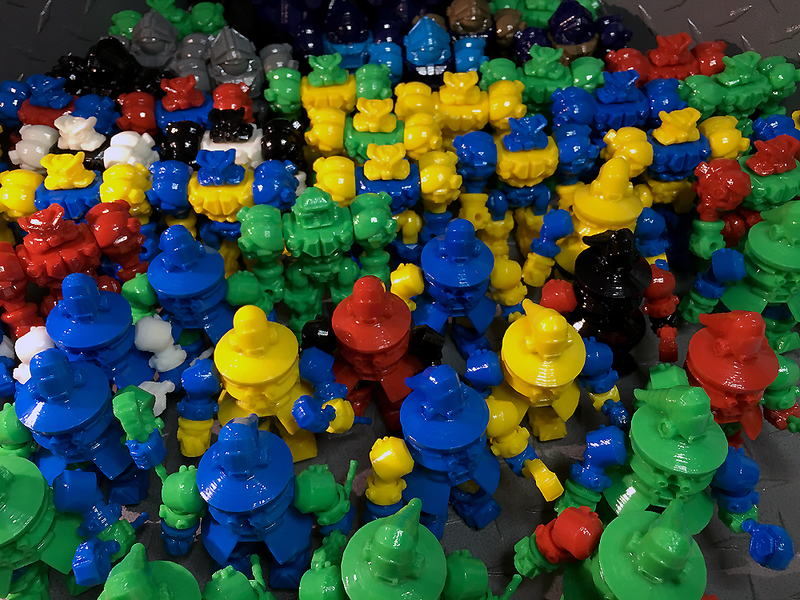 I have been having a blast developing these figures and can't wait to have them for people to check them out! 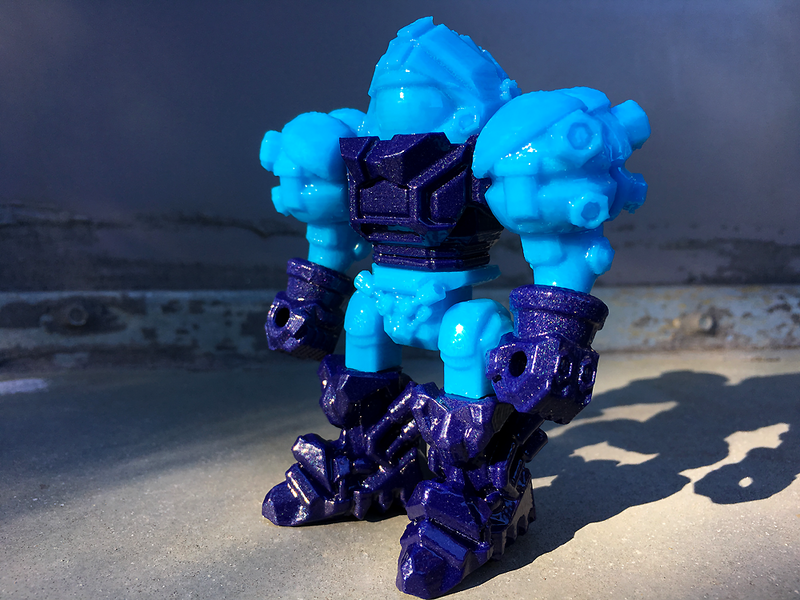 He, and a few of his friends will be debuting at Designer Con later this year. If all goes well, a small release will come to fruition prior to then. I have some neat story elements ( I think ) as well as some other content to show with these figures. While it would seem that this is indeed Acris, it is not. This is a mechanical reproduction by the Mad Engineer himself! Very rarely does he actually get his hands dirty! Hah. So Mecha Acris and the rest of the Acris Battalion will have their day in the sun soon! 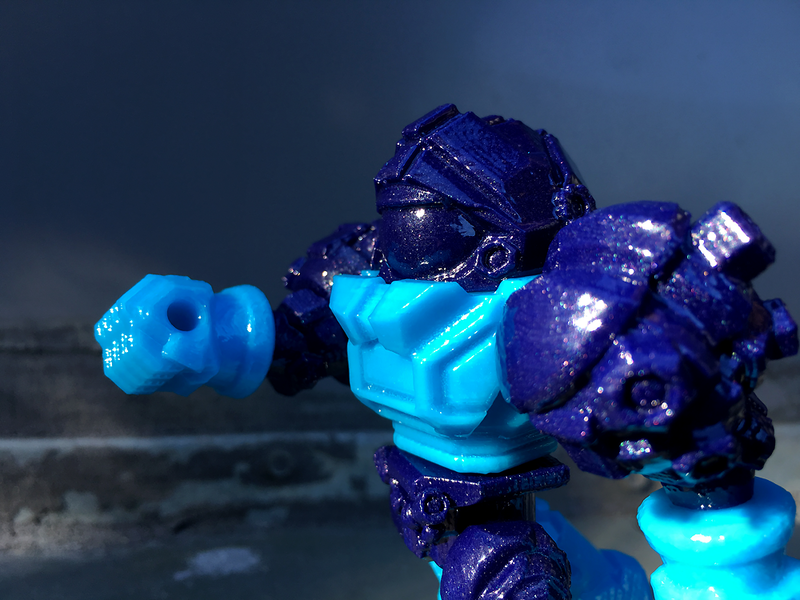 Spaced Out Design wrote: So Mecha Acris and the rest of the Acris Battalion will have their day in the sun soon! Soon can't come quick enough. I'm seriously amped for Acris! 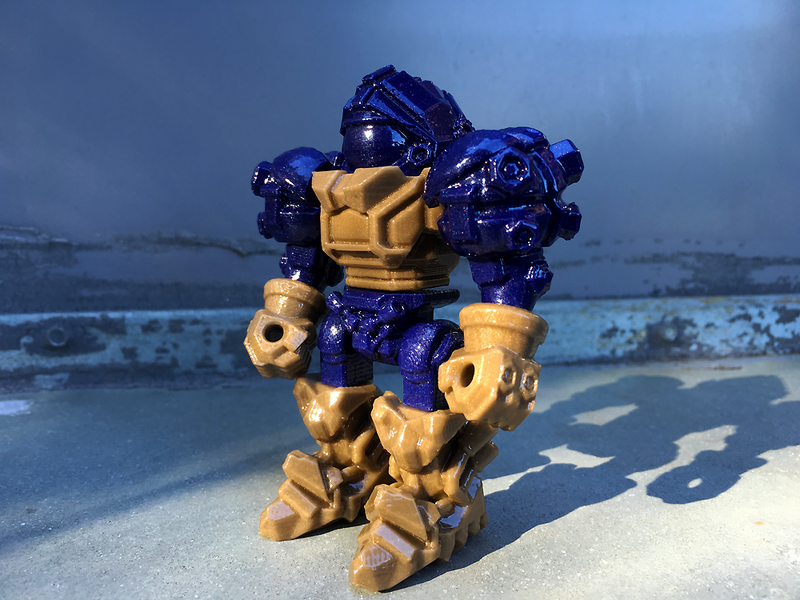 You ever print a half-finished mangled one that is in ok enough shape to be painted, send it my way! 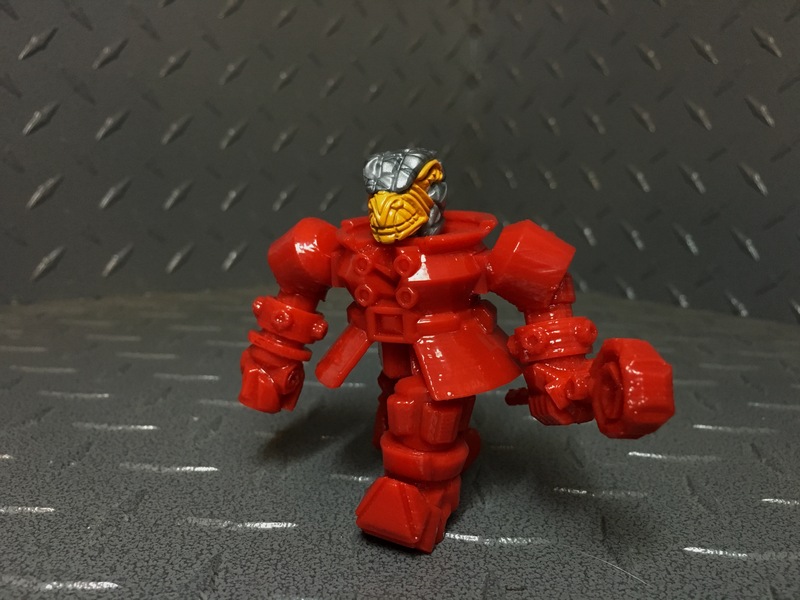 I already have ideas for a Halloween custom using that feller! Sethl wrote: Looks great PJ! Thanks Guys! 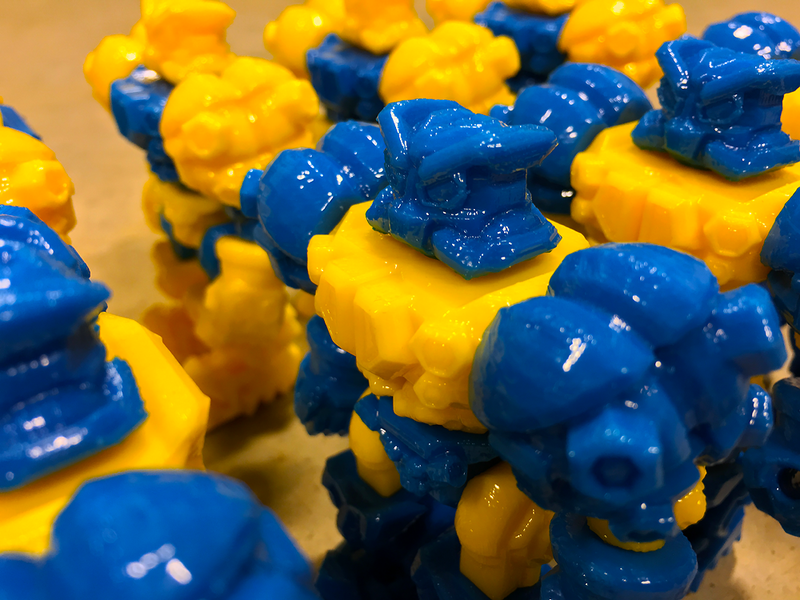 I am also excited to get these out into the hands of collectors! 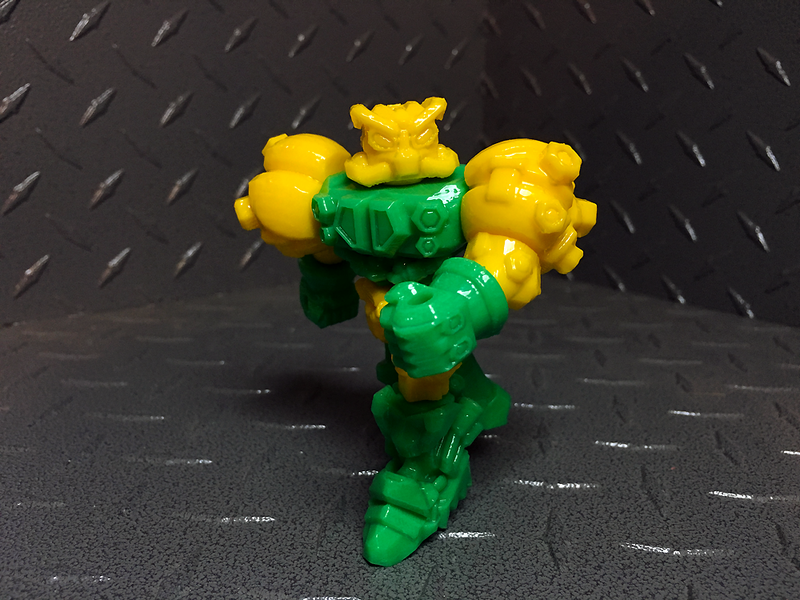 Its exciting to be able to make a more durable toy for sure. Production is on the docket still, but for now, this will be a good filler! More stuff will be popping up over the next few weeks! Some amazing stuff happening and Spaced Out Design's instagram has the news. 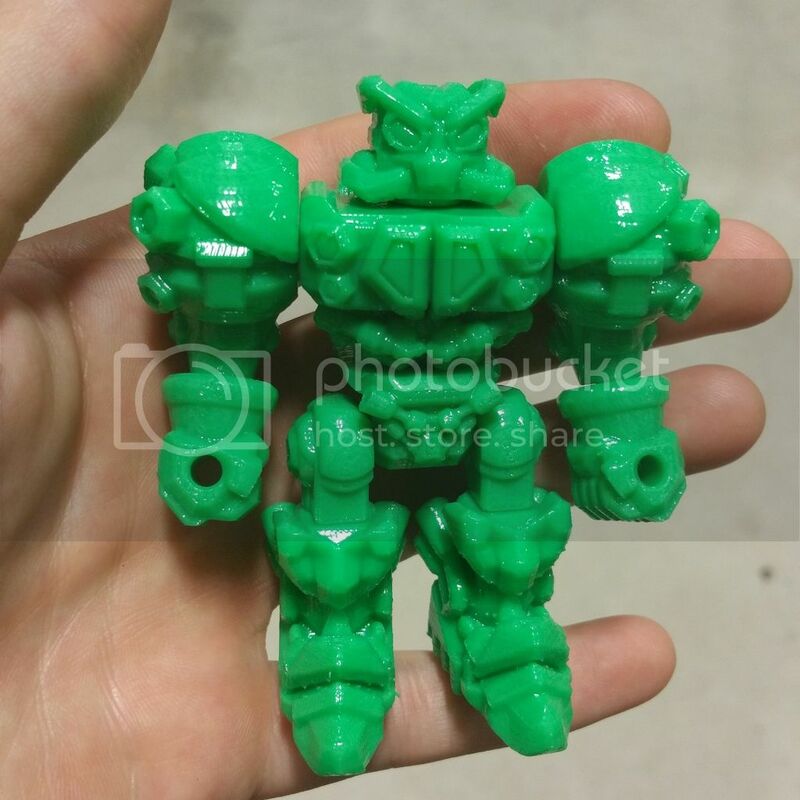 ABS Printed Glyos that I can't wait for, they may be my number one hunt when I go to D-Con this year. That looks amazing. 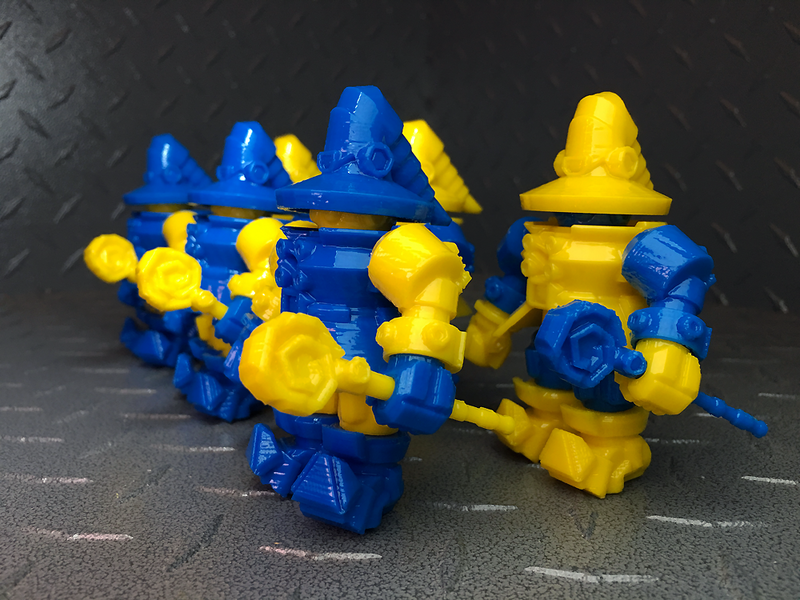 I'm always down for robo-wizards. NoPaintRequired wrote: Some amazing stuff happening and Spaced Out Design's instagram has the news. Thanks Guys! 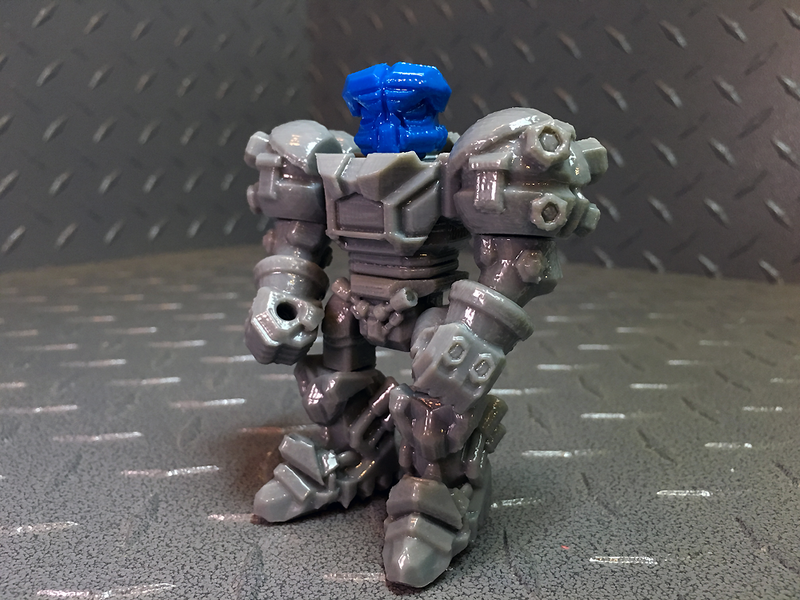 I uploaded some more shots of this little bugger with some head swaps and reversals! Been having fun with this latest figure. Still a lot more to come! I will most definitely be there in attendance. It is going to be a blast! 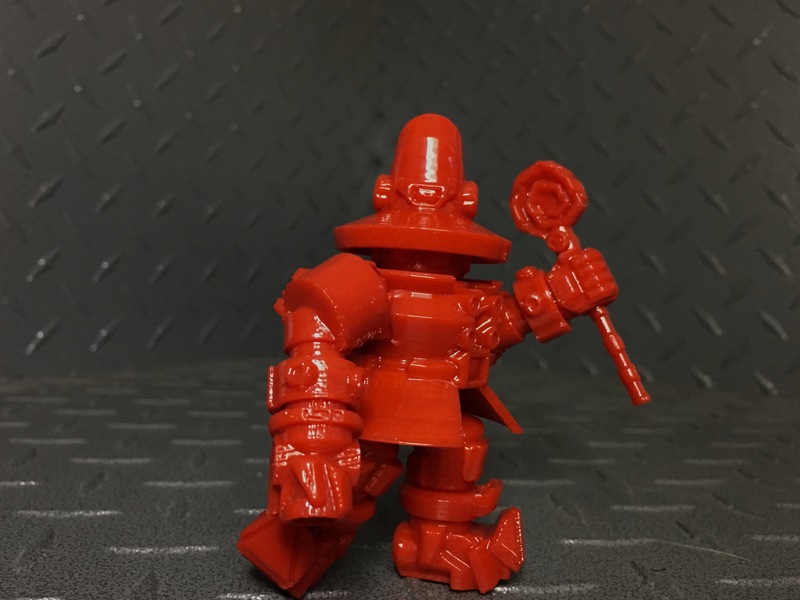 great work on the website and the figure dude! 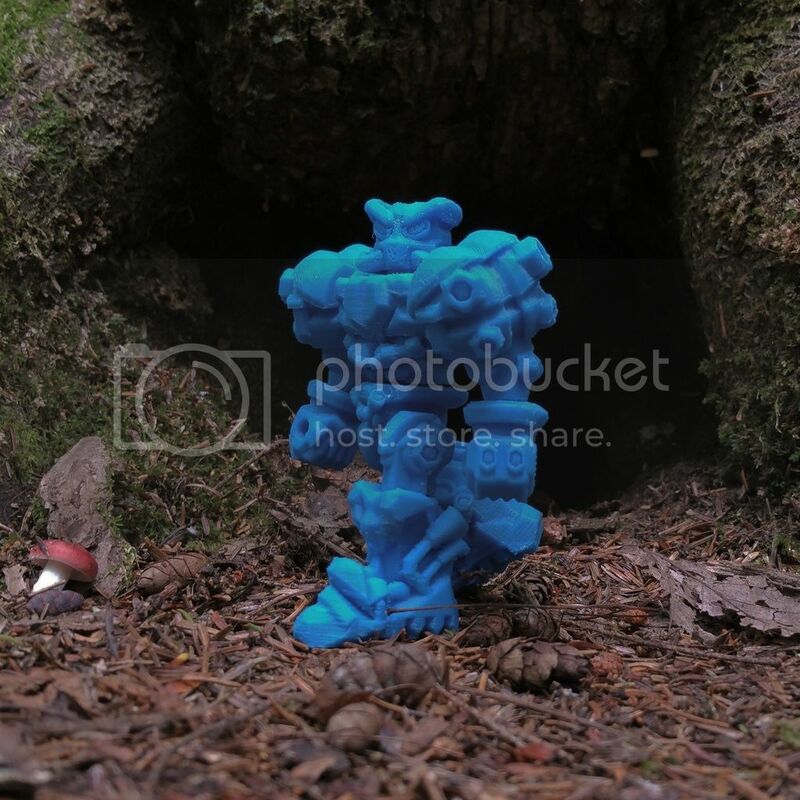 mushbuh wrote: great work on the website and the figure dude! Thank you! I am very pleased with the website as well. Marcus is one of the best! 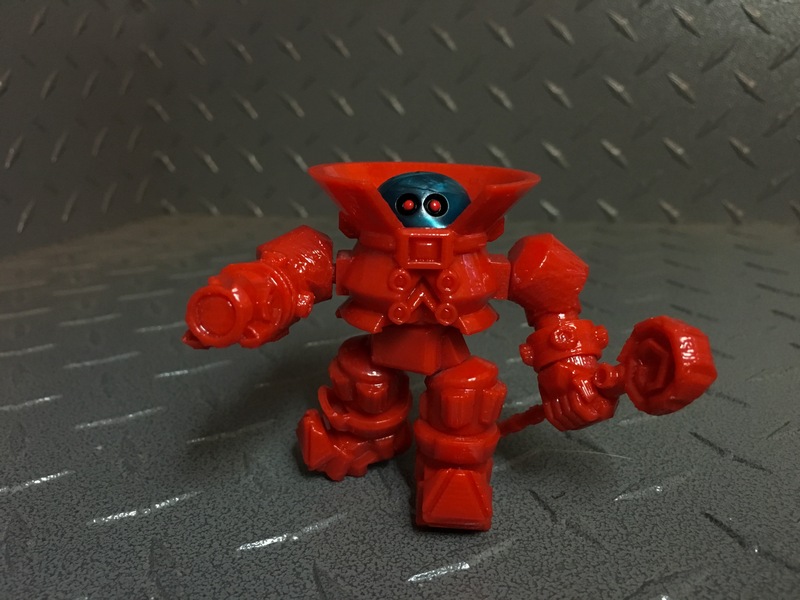 New Dcon reveal! 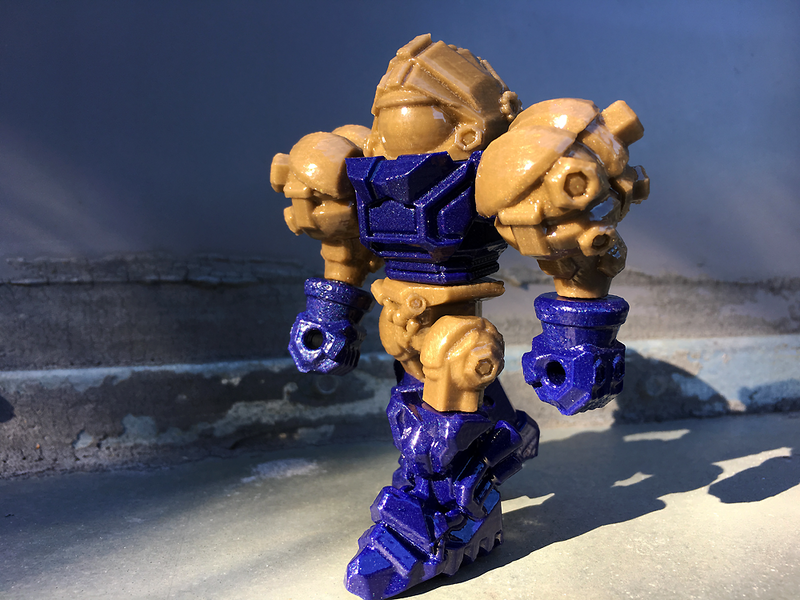 Mecha Acris Glyaxia Forgery figures in effect! 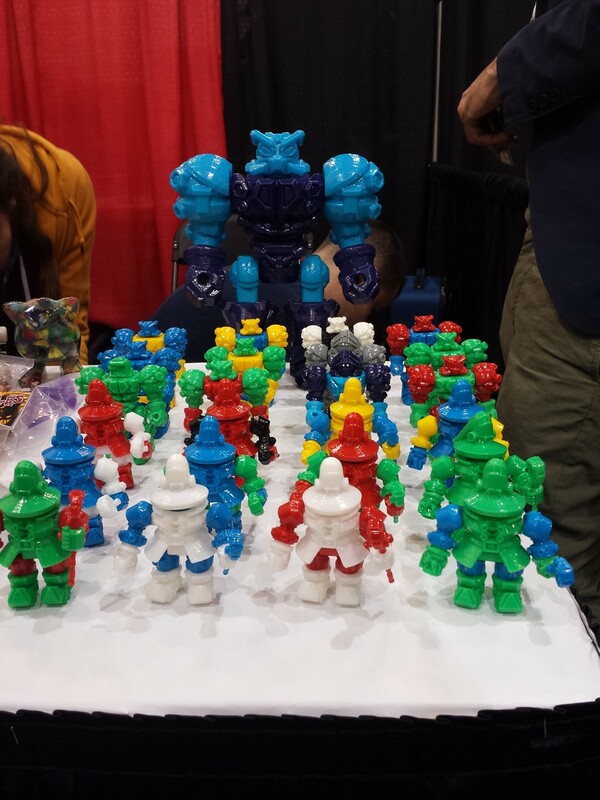 Here is a look at the Dcon assortment ! A lot of debuts here, and much more to come! The table from Designer Con 2015, at the start of the event. By the weekend's finish, the Spaced Out section was nearly depleted. 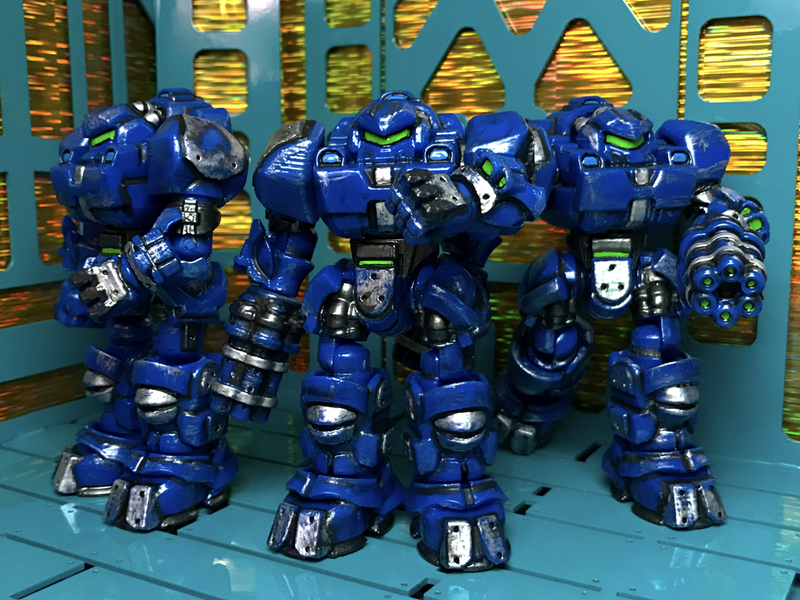 These figures are a head taller than Pheyden, but they are in-scale. Which makes them into large, menacing power suits. Bright colors and clean finishes. 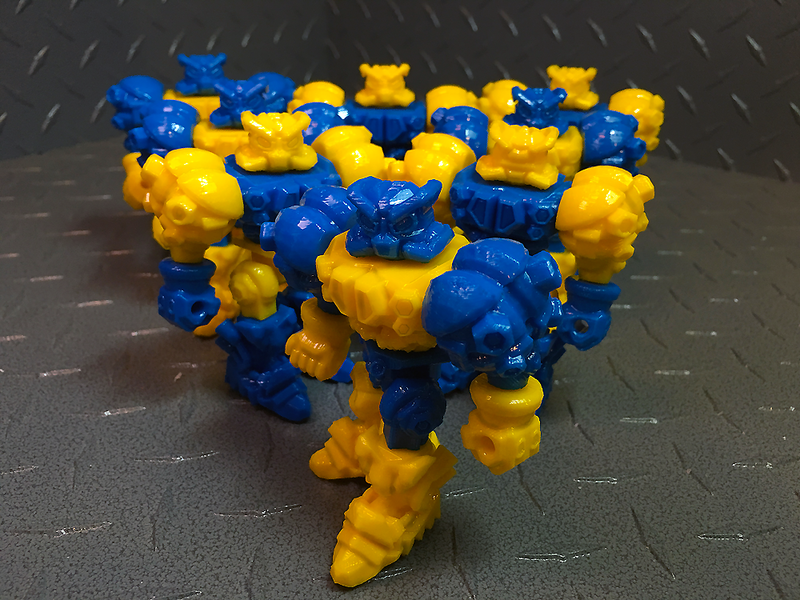 They use compression-fit joints, which PJ has engineered to perfection -- which is good, because there's 12 points of articulation on these guys! 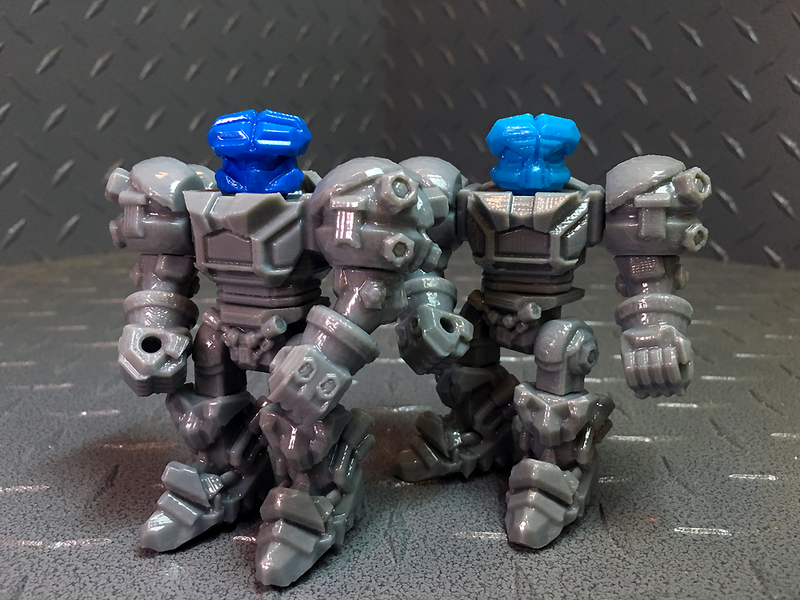 The pins and holes will work with Glyos pegs, which means I can pit my acrotech against the conniving Armorvors and their silly black core technology. 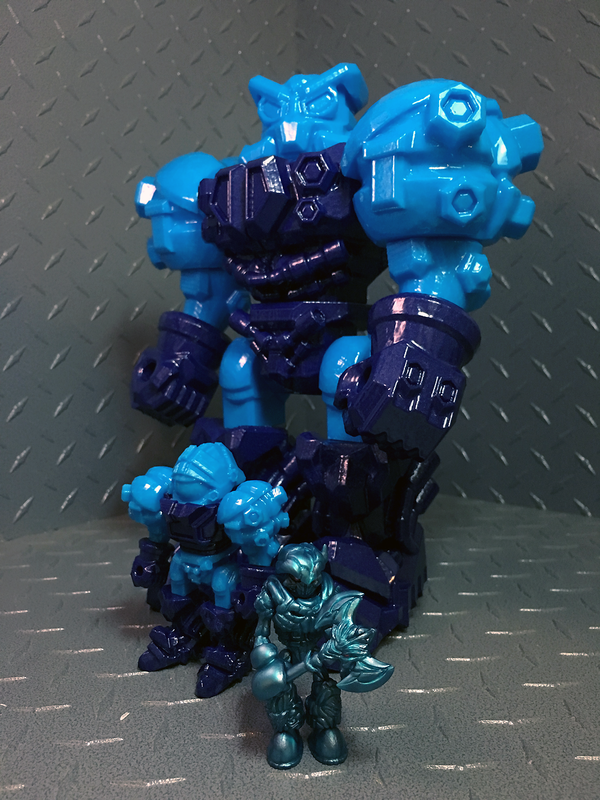 I picked up one of the new figures and a gun, they are really awesome and the huge one is a sight to behold. 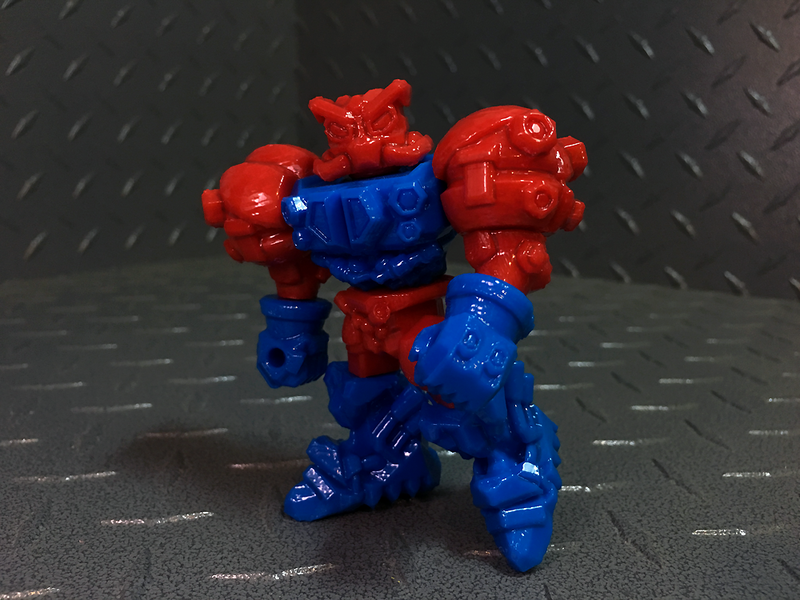 If anyone knows me they know due to my toyline I have been working with 3D sculpting and printing for years. 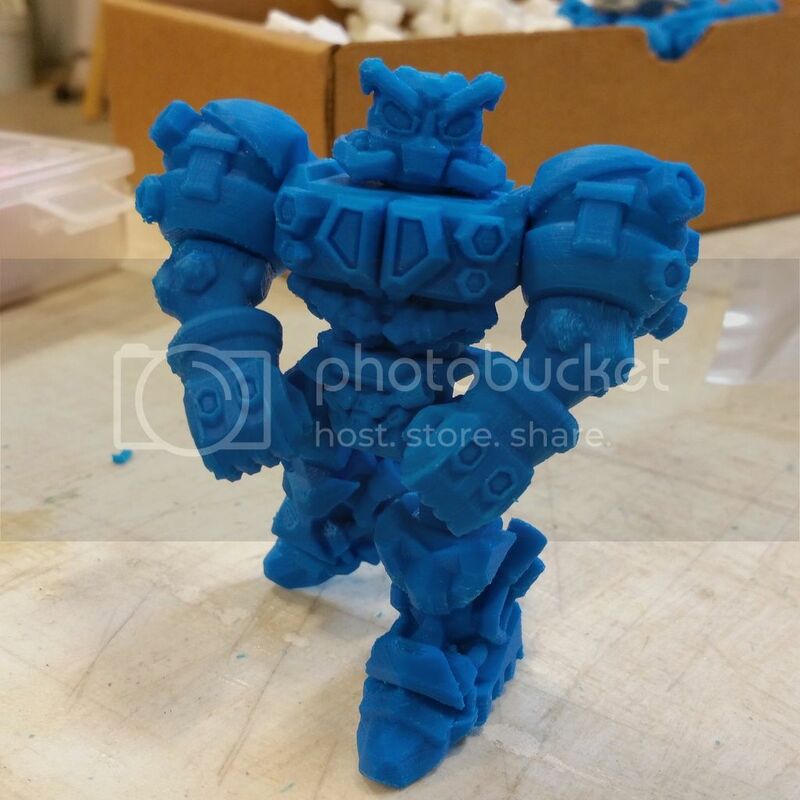 What PJ has done here with these and what David from Mechazone is doing is just awesome! It was such a bummer when my job didn't let me have the days off for D-Con because they wanted me to run registers for a Thanksgiving crowd that never came. But that doesn't mean I'm not keeping a close eye on one of the things I was looking forward to. Can't wait for those "Coming Soon"'s to turn. Those are some NICE pieces! I totally hope they see production one day! Thank you guys for all the kind feedback! The shop will return Tonight, December 2nd at 9PM EST . 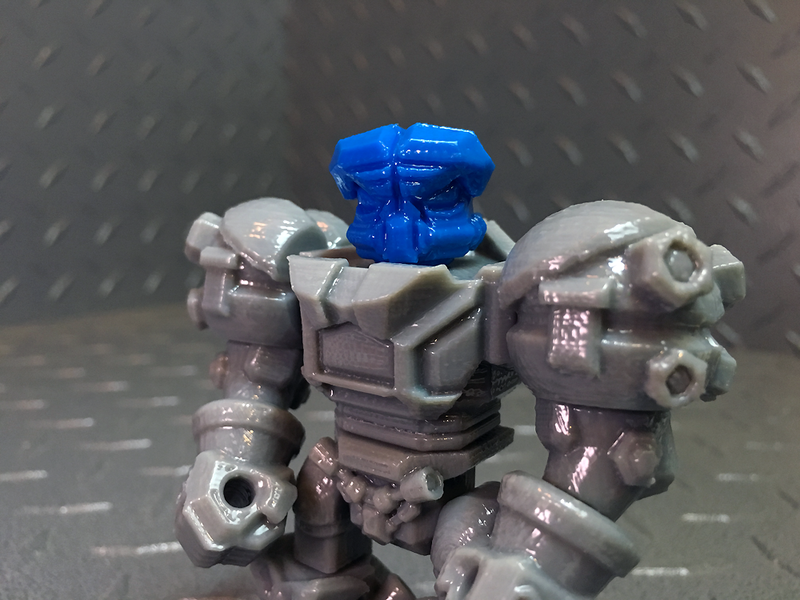 The Dcon Remnants of my Glyos compatible 3D printed toys will be available as well as some small surprises. Hope to see you there! 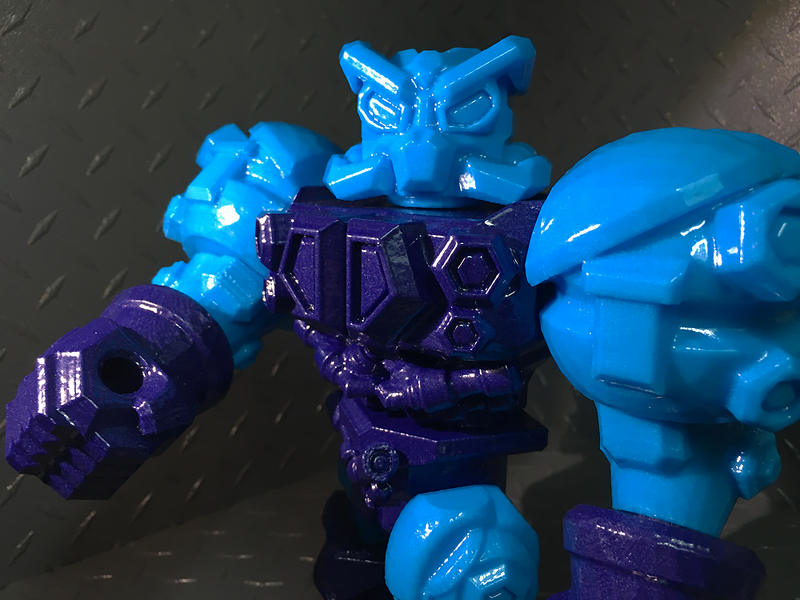 The latest assortment of Glyos compatible 3D printed figures are available in the Spaced Out Shop ! 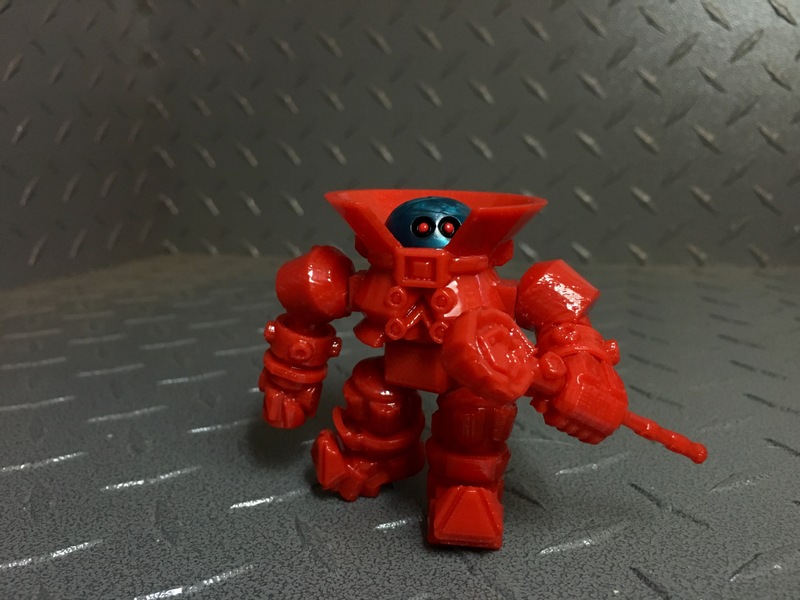 This might be a dumb question, but is the dome head for the Mecha Acris included with the standard figure? E.g., the head on the figure in markatisu's photo.